Leah Barley and the Converse Cowboys will put on a raw, dynamic, and interactive performance at CBC Musical Nooners on Monday August 15. Barley's beautiful tones and impressive range bring stories of love, loss and broken homes to life. Leah Barley is a blues-folk singer-songwriter. She plays the CBC Musical Nooners stage on August 15, 2016. The concert beings at 12 p.m. PT and ends at 1 p.m. These free, live music concerts happen every weekday from July 8 to August 19 on the CBC Vancouver outdoor stage on Hamilton Street. Barley's beautiful tones and impressive range bring stories of love, loss and broken homes to life. 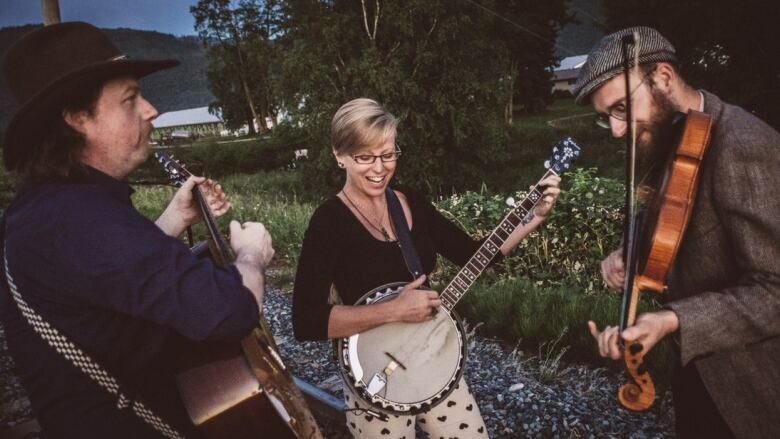 Only two months after buying her first banjo, she started performing at an open mic nights. She has been on a roll ever since, releasing two EPs with a third on the way. She will be joined by the Converse Cowboys, who bring a raw, dynamic and interactive performance to the stage.